"Words may be twisted, memories may fail, but the ink on paper remains indelible and unfading for a long period of time. Oral evidence is persuasive because it lives and moves. Documentary evidence is decisive because it is unchangeable." Private Investigators/Detectives - Under-estimated and Under-used ? A simple, yet comprehensive definition of a private investigator is ' an individual who either runs or is employed by a business which provides investigative services for a fee'. However contrary to popular belief the army of 'love-tug' detectives who pry into the private lives of respectable citizens and relax in grungy offices are going fast. Sad in a way some might say as it makes for good TV and films. However professional investigators should not rely on modern technology alone and some of the long established "gumshoe" skills along with lateral thinking are still essential qualities in the modern investigator. Our agency is on target to meet all new regulations and be fully compliant both in the UK and throughout Europe. Paralegal Service - we are qualified through education and training to perform substantive legal work that requires knowledge of the law and procedures and who is not a qualified solicitor or barrister. Paralegals may work for, or be retained by solicitors within the legal profession or they may work within a legal environment within commerce, industry or the public sector. 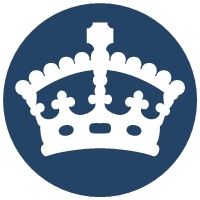 Our Directors hold recognised European Qualifications to degree level, have a vast amount of international experience and can legally operate in European countries unlike many UK investigators. To compliment our Portsmouth & Hampshire Process Serving facility we also provide International investigations and process serving specialising in France and Africa . 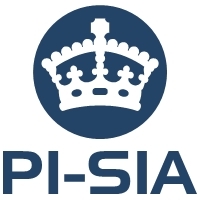 Please note that the Directors of Portsea International formerly Anglo French Research are not members of or affiliated to The Association of British Investigators and should anybody find any links to this organisation please contact us at enquiries@pi-sia.co.uk and we will endeavour to remove them from the offending site. The directors and owners of this website Mike Warburton ASC, CII & Graham Dooley CII, F.Inst.Para , Dip IFAR have a combined membership one or more of the below organisations.